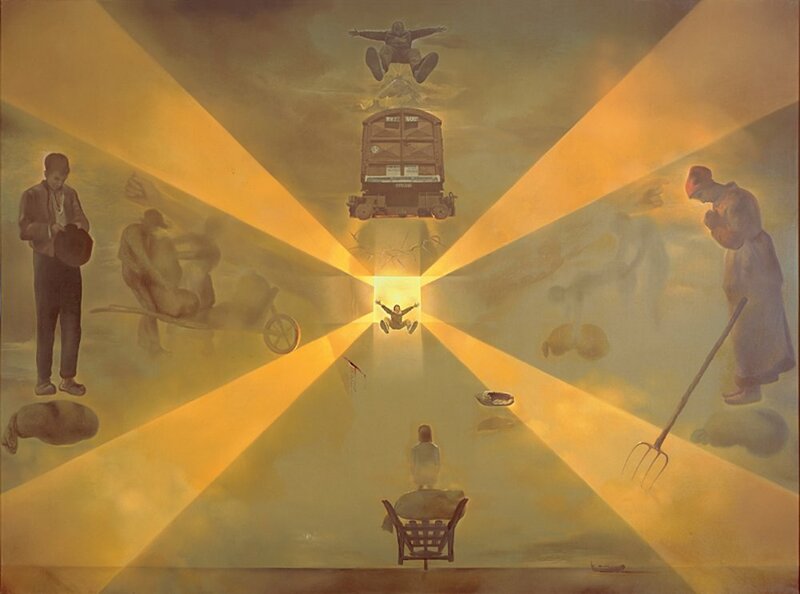 A little more than fifty years ago, Salvador Dalí froze in Perpignan’s train station, looked up at the ceiling, and had a vision. “An example of a cosmogenic ecstasy,” as he later described it, “I had a precise vision of the constitution of the universe.” And Perpignan was at its centre, the ground zero of the looming catastrophe that he foresaw, inextricably linked with the disappearance, or the abduction, of Europe. And now, as Europe teeters on multiple edges, beset by the rising forces of nationalism and populism, Ariane and her boyfriend and travel companion Baptiste Enaud are trying to figure out how to keep Dali’s vision confined to the world of colour splashed on canvas. What kind of European Union do you want to see? This time, the question is directed at Gerard Lesaine, a retiree whose grey hair flaps in the wind as he waits to cross a busy intersection underneath a dreary sky. The conversation shifts to the state of the world, insecurity everywhere, Donald Trump, and the idea of some common European defence force. Now that Trump is in power, people have much more to say about European defence the pair tell me later. They are keeping a giant Excel spreadsheet, chock-full of every idea and suggestion that they encounter along their way: like beginning language education at a younger age, singing the European hymn at the end of political ceremonies in addition to La Marseillaise, or having a dedicated “Europe” section in newspapers. Gerard’s wife, a nurse, is curious about Baptiste’s T-shirt that day, which shows the names of the EU institutions. She asks if that’s what the two are doing – going out and explaining the EU in an age of scepticism and resurgent nationalism. But Ariane and Baptiste are undertaking their seven-month long tour through a hundred French cities, towns and villages with the inverse goal at heart. Instead of offering better explanations, what if the EU left Brussels without a pre-written script? What if it went out to meet European citizens where they are? The idea to set out with an ear to the ground came to Ariane while she was studying European Affairs in London, with the “Brexit” campaign in full swing all around her. Even if the debate was streaked through with misinformation, at least there was a national discussion about Europe taking place. It had just taken a referendum on membership to spark it. And looking back at her native France, where support for the eurosceptic National Front was rising, especially among her own generation, she decided that she wanted to have the conversation about Europe before a referendum ended up happening. When she pitched the seven-month road trip to Baptiste, her long-distance boyfriend in Lille, she was expecting some amount of resistance. Instead, he told her to go for it, and Des Europe et Des Hommes was born. “In the beginning I was a little nervous about what it meant for our relationship,” Baptiste confides to me. In a way, they represent two different relationships with Europe. Ariane, the daughter of serial expats, had a childhood that shifted from Nigeria, to the Ivory Coast, Poland, the Czech Republic, and Hong Kong before finally landing in France. She readily assumes the moniker “third culture kid”, a label that’s often applied to describe a generation of globalised young people whose relative lack of identity has become their way of identifying with each other. When she speaks about Europe, her eyes light up in a way that betrays how for her that identity is the one that feels the most like home. A randomly selected ‘People’s Parliament’ that could propose laws. Baptiste, on the other hand, has spent his entire life in northern France – these past few months aside. He grew up in Lille, where he went to public high school with Ariane, and has never travelled outside of Europe. Scarf swaying in the wind, he adds that nevertheless, he hasn’t ever put much stock in borders. Which, of course, is what a huge swath of Eurosceptics fear the European Project is really all about. We keep walking. A heavyset man passes us and Baptiste wastes no time stopping him. Gruff, unshaven, and with a slight beer-belly, the guy doesn’t beat around the bush – he’s a Eurosceptic. At least, at first impression. 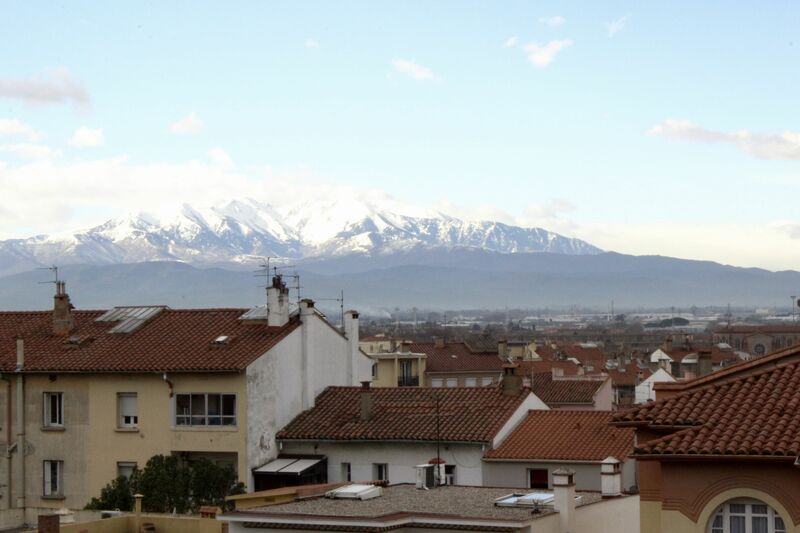 “I want to leave,” he says, telling us that as a small-business owner, the wage disparity between Perpignan and just across the Pyrenees, in Spain, is killing him. He just can’t compete, and he thinks that getting rid of the euro would help. But then he says something interesting– something that Ariane says happens more often than she originally expected. And the European Union’s problem is clear. It can move forward, or it can rewind. But the liminal existence of half-measures is untenable and so gets blamed for the lion’s share of afflictions that affect struggling regions like French Catalonia. The first person to conceptualize a specific political and institutional collective was the Bohemian prince George of Poděbrady in the early 1460s. Teach more European history and civics in school. He proposed a treaty among all Christian powers, under which they would pledge to settle differences peacefully, and would establish a common parliament and other institutions. Poděbrady couched his idea as a way to unite the continent against the Ottoman Empire, who had conquered Constantinople in 1453. The innovative multilateral treaty, the Tractatus pacis toti Christianitati fiendae, or Treaty on the Establishment of Peace Throughout Christendom, ultimately failed. And the dream of a united Europe lay dormant for half a millennia, consigned to the avant-garde dreams of writers like Victor Hugo, who gave a prophetic speech in 1867 where he proclaimed that the day would come when war between Paris and London would seem as impossible and absurd as war between Boston and Philadelphia. There are different theoretical schools of thought about how political community is formed, and about how integration might take place. Functionalism, with its focus on institutions, sees integration like a ball rolling down a hill – kick the institutions into motion, and “ever closer union” is inevitably the result. Realism prizes the idea of “power”, arguing that states will only come together through coercion or when faced with a common threat. Liberalism sees trade, and tying economies inextricably together through commerce, as the answer. And Constructivism centres in on the idea of identity, on producing a “we feeling” that spills across borders, rendering them less and less important. Europe has incorporated bits and pieces of all of the above. But it took a fall from the precipice of civilization and into the ruin of destruction – not just once, but twice – for Hugo’s dream to come true. And when it had, even Jean Monnet, one of the fathers of the European Union as we now know it, saw the fundamental fragility that underlay his dream. “We have made Europe,” he reportedly once said. “Now we must make Europeans.” The latter was to prove far more intractable a task. To explain how political communities arise and define themselves, researchers, political scientists and philosophers from John Stuart Mill to Jacques Lacan, to Karl Deutsch have all in one way or another toyed with the idea that our identities as societies and peoples exist in large part in relation to what – and who – we are not. Both Jürgen Habermas and Jacques Derrida in 2002 called on Europe to “otherise” the United States as a way of forming a common identity. A true European defense union. Even in its origin myth, Europe comes from an “other”. Its mythical origin lies in the tale of Europa, a Middle Eastern beauty kidnapped by Zeus in his lust and taken westward, where she gave birth to the continent that bears her name. For the Ancient Greeks, that “other” continued to be Persia to the east, against whom they constructed their own identity. And the aftershocks of the division between the two classical civilisations still ripple and writhe today. How then, to find some sort of emotional commonality, an us not set necessarily apart from them? Maybe one answer is travelling abroad, if only for a while. There is a university fair taking place in Perpignan, and it’s full of teenagers. The gates to the venue are almost barricaded with little groups of friends clutching cigarettes – a reminder that, yes, we’re still in France. They queue to hear pitches from trade schools, grab pamphlets from the national railway operator, the SNCF, and for a few, to gather information about prépas, the two-year programmes that prepare students for the nation’s elite grandes écoles. On the way in, we stop two high school students, both 17, who don’t want to give their names. Neither will be old enough to vote in the upcoming French presidential election, but they will both be eligible to vote in the next European elections. They say they plan to, but voter turnout across Europe is low – 42 percent in France in 2014, and even lower for the 18-24 demographic. I ask them if they feel European. “Yes,” the more talkative one replies, as the other slightly nods her head. And which identity matters to her more, French or European? Europe Direct is on the far side of the room, not far from the main doors, with the signature blue EU flag draped over its table and yellow banners behind. Its mission is to point students towards the plethora of educational opportunities across Europe that they might not be thinking about. 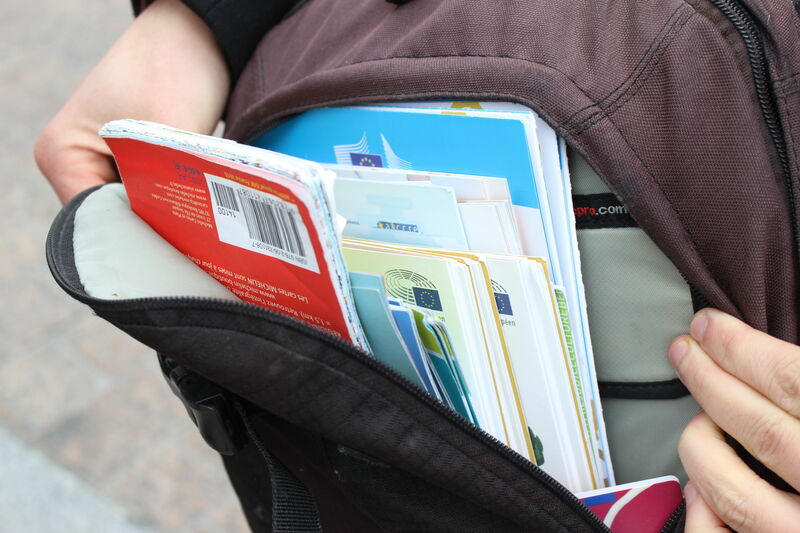 “Lots of students come here for information about studying abroad,” Claire Sarda-Verges, who has headed the Europe Direct, an EU outreach initiative for 20 years, tells us. 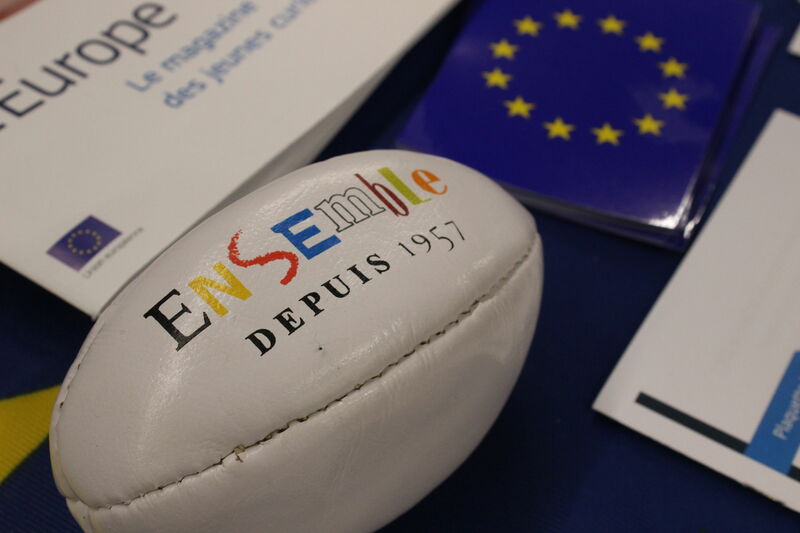 She is talking about the European Union’s most significant cultural success – Erasmus, the university exchange programme that was immortalized in the early 2000s French comedy L’Auberge Espagnol (“Pot Luck”). Since its inception, it has drawn millions of participants, and, according to EU estimates, may have resulted in nearly one million babies born to Erasmus couples – a true “Generation Europe”. Harmonise labour laws across borders. This year she’s hawking something new, but along the same lines. A Europe-wide volunteer civic service programme, which will send participants around the continent with housing and a stipend, so that they can volunteer with a local NGO. While that might be true for many, “Europe” wasn’t immediately natural for Manon Riffard, a tall, freckled 19-year-old volunteer with Europe Direct, who is spending her own year of service trying to convince other people to do one themselves. As the granddaughter of Spaniards who took refuge from Franco across the border in France, her own story is inescapably one that crosses borders. But it wasn’t until she went to live in Peru after high school that she felt really, truly European. Gonçalo Lobo Xavier, Vice President of Communication for the European Economic and Social Committee, doesn’t try to shirk away from that charge. In a long email, he linked the rise of populism and euro-scepticism to “a growing disconnect between ‘the EU bubble’ and everyday people living in Europe”, but also pushed back against the idea that Europe doesn’t actually care. His organisation the EESC, is supposed to be the EU’s bridge to civil society—i.e., on the ground engagement—in European nations. Recently, he told me, it has embarked on an initiative called “Going Local,” and sending its staff outside of Brussels to connect with organizations on the ground. Hundreds of visits, but those are “only the formal reported figures,” he emphasized – the majority of EESC “members” are already local. Ariane and Baptiste might not be officially connected with the EU, but they hope that their observations too will filter back to Brussels. Or that even their albeit brief presence will change, in some small way, what people feel. Just as the project has changed their idea about what Europe might still be. European management of counter-terrorism efforts. “Communication is obviously a missed opportunity,” Baptiste tell me weeks later over the phone, from Corsica. Her observation isn’t scientific or grounded in anything beyond five months of anecdotes, but after a year of nearly worthless polling, maybe an ear to the ground can reveal something truer that reams of statistically significant studies. “People want to engage, but sometimes they aren’t sure how,” she finishes. People, like the young couple in Blagnac, outside of Toulouse, who circled a park four times with them in order to have an hour-long conversation. An older man with a ZZ Top beard in Chenançeau, who stopped his 4x4, got out and invited them into a café to have a more in-depth discussion. 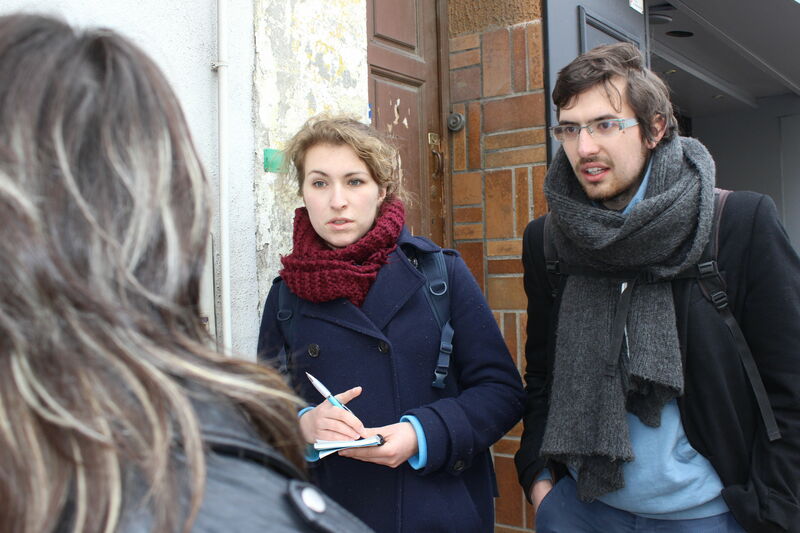 The couchsurfers (they rely on couchsurfing for a place to sleep every night) who decided spontaneously to host a big community discussion on Europe, and went to every door in their apartment building to invite all of their neighbours. Blaming the woes of the EU on communication seems like too easy an out, though. Any government that fails to win the hearts and minds of the government is destined not to last. But greater engagement with Europe’s citizens won’t, for example, fix the structural problems with the euro that have driven massive trade imbalances between Germany and her neighbors, and pushed periphery economies--like Greece--into painful internal devaluation. Nor will it resolve member state disagreement over refugees, migrants, integration at varying speeds, and whether European defence policy should replace NATO, stem the rise of nationalism and populism that has become the unavoidable sidecar of globalisation, or magically craft a greater sense of solidarity and common identity among peoples starkly different regional and national histories. It’s one thing Europe probably needs from Europeans, but that so many of them are running out of. And with so little time to spare.